A short story is a brief work of literature, usually written in narrative prose. At its most prototypical the short story features a small cast of named characters, and focuses on a self-contained incident with the intent of evoking a "single effect" or mood… (Wikipedia, the free encyclopedia). Most definitions agree that a short story is piece of prose fiction ranging from 1,000 to 20,000 words focusing on a single plot, one central theme and one main character who should, preferably, be congenial and true to life. I believe that a good command of language and a good understanding of the elements of the short story are necessary prerequisites to writing the short story. My hubs – An approach to Understanding and Writing the Short Story – Tutorials 2 and 3 look closely at the elements of the short story. Some degree of creativity would also be useful for the short story calls for a certain level of craftsmanship. There is already a plethora of literature on how to write the short story so I will not dwell on this. My objective here is to show that once you have a good grasp of the above mentioned prerequisites, it is left to you to apply your skill and creativity in novel and original ways to write stories that are interesting and engaging. It is about using a basic platform and applying your creativity to produce good stories in your own style and stamped with your unmistakable signature. Different things work for different people. At school students are given as stimulus, a topic/title, picture or situation. I have seen some brilliant stories written by students using any of the three stimuli. But what about people like you and me who have to find our own stimuli? I find it difficult to write on a topic or picture. I write best in response to incidents or situations which affect people around me. These provoke a response in me which propels me to write. It does not have to be a major or very significant incident; in fact, it can be something seemingly unimportant, but which affected someone around me and triggered a response in me. My favorite characters are women, young persons and children, maybe because I am more easily touched by their vulnerability. My crafting of the story depends really on the incident or situation which triggered my writing impulse and my main character emerges naturally out of that specific situation. To put it another way, the incident/situation dictates the personality of my main character. Likewise, my plot is based on that incident/situation so essentially, I have the basic plot to start with and from there my craftsmanship kicks in. I create fiction out of something real. Narrative - Along with exposition, argumentation, and description, narration, broadly defined, is one of four rhetorical modes of discourse. More narrowly defined, it is the fiction-writing mode whereby the narrator communicates directly to the reader (Wikipedia, the free encyclopedia). Narrative is therefore the key device by which the story writer communicates with the reader. However, within narrative a number of other techniques may be used. Some common ones include dialogue, dialect, scenarios, flashback, epiphany and foreshadowing. These enhance the short story by adding movement, interest and excitement to it. Below are brief definitions of these techniques. Examples and Illustrations will be provided in Part 2 of this topic. Dialogue - A literary and theatrical form consisting of a written or spoken conversational exchange between two or more people (Wikipedia, the free encyclopedia). I find dialogue a very useful characterization tool in that it brings out personality traits in the speakers in a way that is economical and concise. In fact, dialogue can capture in a few lines what would be expressed in pages and pages of description. It also helps move the action along improving the flow of the story thus making it more pleasant and enjoyable. Dialect – The language used by the people of a specific area, class, district or any other group of people. The term dialect involves the spelling, sounds, grammar and pronunciation used by a particular group of people and it distinguishes them from other people around them. Dialect is a very powerful and common way of characterization, which elaborates the geographic and social background of any character (literary devices.net). I absolutely love this device! I like my characters to open their mouths and show who they are, where they come from and what they stand for. In addition, I believe that it adds an element of flavor and interest to the story that could not have been achieved merely through description. I usually add bracketed translations of expressions which might pose some difficulty for readers. Scenario - A series of events that is projected to occur. When you run through all of the possible outcomes of a conversation in your head, this is an example of a situation where you run through all possible scenarios (YourDictionary definition and usage example). I see scenarios as an effective means of getting a character to illustrate a point or as a means of obtaining clarity and seeing the way forward with respect to a given situation. It can also be an effective way for a character to express his/her fears or misgivings about a particular situation in the future. Flashback - A literary device wherein the author depicts the occurrence of specific events to the reader, which have taken place before the present time ... (literary-devices.com). Flashback is a useful means of providing background information or context important to the readers understanding of the current events of the narrative. It also provides access to the character’s motivation thus allowing the reader to be more empathetic and less judgmental. Reminiscences and dreams are very useful methods of flashback. I find this a most useful technique. For sequencing in particular, I prefer to begin a story at the particular point in the main character’s life to which the story is most relevant and to move backward and forward in time as required as the story progresses. Flashbacks become very useful in going backward in time. Epiphany - The point in a work of literature where a character has a sudden insight or realization that changes his or her understanding (www.Chegg.com). Although mostly used to bring about changes in the attitude and behaviour of the main character, epiphanies can also apply to the reader when an external stimulus or perhaps an internal reflection is used to provide a sudden new perspective or insight for the reader which clarifies a problem and changes his/her interpretation of the story. Epiphanies therefore bring about changes in the previously anticipated outcome of events whether through the changed attitude of the character or the altered perceptions of the reader. Foreshadowing - the use of indicative word or phrases and hints that set the stage for a story to unfold and give the reader a hint of something that is going to happen without revealing the story or spoiling the suspense. Foreshadowing is used to suggest an upcoming outcome to the story (Literary-devices.com). Dreams are a very good means of foreshadowing future events, but they should be disguised; that is; they should be used in such a way so as not to sell out the rest of the story. I particularly like using dreams. In my culture, dreams are very significant. They are said to have meaning; to point to something good or bad that is about to happen. The older folk are able to interpret dreams and sometimes these interpretations can be the cause of much apprehension or much celebration. For eg. if one dreams of a wedding, it is interpreted as a funeral. It signifies that someone in the family is going to die. If one dreams of a black snake, it means that a female member of the family is in the early stages of pregnancy. I am not sure whether a good writer thinks beforehand of the techniques he/she wishes to use, but I am not as organized as that. When I get my flashes of inspiration I get on the computer as soon as it is convenient to do so and I write down the thoughts as they come. If I am in a doctor’s waiting room, I jot down my thoughts on my ever present notepad and transfer them to the computer when I get home. Sometimes I have something of a portfolio of story drafts; some related, others not. It does not bother me. At some point later I will get back to them and really craft the story. When I get to the actual crafting of the story, I select from my drafts those which I consider to be related in some way. For e.g. I might have two drafts dealing with young women – one with a domestic problem and one with a work related problem. These could be crafted into one story where there is only one woman who is battling with life, stressed out by problems at home and pressures at the work place and even in her relationship. It is at this point in the story that I begin to see where to make use of the various techniques discussed above. I have no problems with beginnings. I already have the stimulus and so I simply place my main character within a setting which is appropriate for the situation which I am writing about and which sets the mood which I would like to capture. I spend a lot more time on endings. I want to ensure that my endings are not predictable, humdrum, unrealistic or plain boring while at the same time flowing naturally out of the story line. Once the story is written, I put the first draft away for at least a day before I come back to edit. I find this effective in that when I get back to it, I get fresh ideas to rephrase sentences, make insertions or deletions, improve the sequencing, and expand ideas and so on. I edit several drafts before I am finally satisfied. Also, if I experience writers block and find myself unable to progress with a story I leave it alone for a few days or even longer. When I get back to it, I start reading from the beginning so that I recapture the flow and without a doubt, new ideas begin to flow and I can continue from where I left off or recraft the original as necessary to fit the new ideas which I am now putting in. 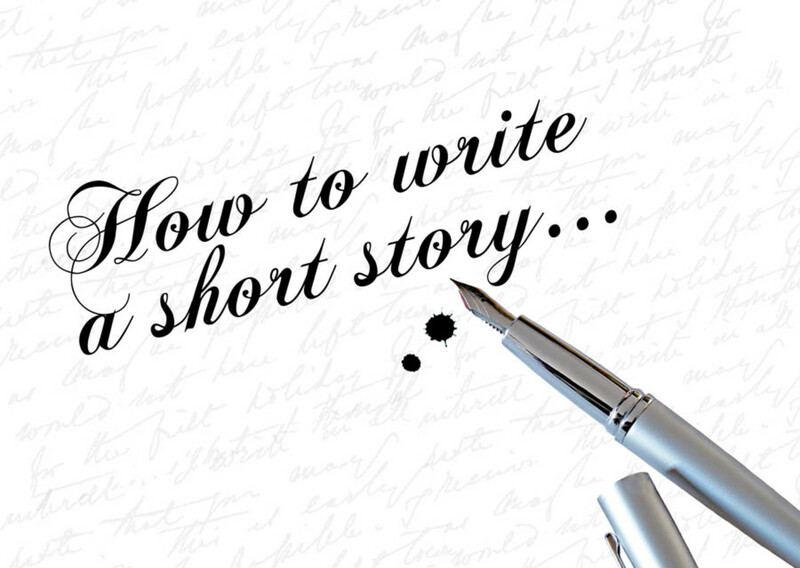 As I stated at the start, this is not a ‘How to Write the Short Story’ hub. It is simply my way of approaching the short story. I hope it can assist you, reader, in writing your own story. I would be very happy for your feedback. Please use the comment capsules below to provide me with your comments. 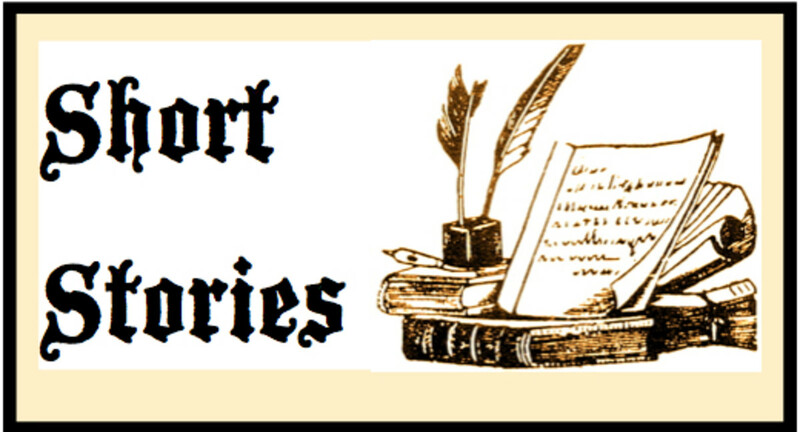 This three-part Short Story Tutorial is intended as a simple guide to assist students and teachers in understanding and writing the Short Story. Tutorial 3 provides a practical example. Are you struggling with writing your story? Thank you Michael Miller. I am happy that the article was of some help to you. Great article! Short stories are more difficult to write compared to novels in my opinion, because you have so much less room to work while still being expected to follow some sort of narrative structure. Every word counts! I like how you present so many different methods. It was helpful to me. Very informative and easy to read Joyette. Good for beginners and seasoned writers too. Inspired me. Thanks ! I can feel your passion in your writing! Glad that we share a common approach. The only thing is that I have not yet got around to trying out a novel. I like the latitude that the short story allows and so far I am happy with it. Maybe by and by I will get around to trying out a novel. My approach to writing a story is largely the same—begin with a situation and develop the characters and plot that emerge from that; use such devices as narrative, dialogue, flashback, and foreshadowing; write down inspired flashes of story ideas immediately or as soon as possible and then get them from scribbled notes to a computer program as soon as possible; give the ending a lot of attention to be sure it is not predictable, humdrum, unrealistic, or boring, and edit drafts until satisfied. New to me is the device of the scenario whereby a character describes future possibilities and in so doing expresses apprehension or sees a way forward. Now I'm looking forward to using that device sometimes in my stories. Also new to me is foreshadowing using dreams. I rarely remember my dreams, or even that I dreamed, so I might not try that devise. It is, though, an intriguing idea. Thanks, RonElFran. All the best with your writing! This is very informative. I keep intending to write more short stories, but usually don't get far with it. You've given some concrete tips that inspire me to jump in and start writing. Thanks. GloMac, thanks so much. Your warm enthusiasm makes me feel that every effort I put into teaching was worth the while. That is the best reward ever! 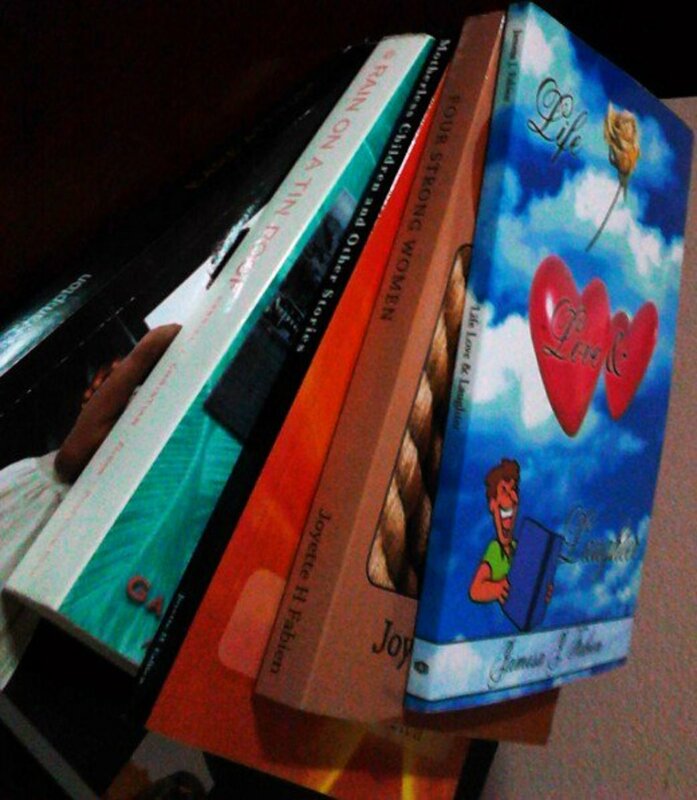 Have you published any short stories on HubPages, Joyette? This is absolutely invaluable! Goh you brought me back to class hungry for your every word! I am difiniteky going to keep these in my notes. Once again a hefty thank you Ms. As if I'm still in high school. Smiles. bravewarrior, I can feel your enthusiasm from your words! When you are passionate about writing, it becomes a fun exercise rather than a task. All the best with your new novel. Joyette, I love learning each writer's process. When I write, I don't know what's going to happen until I get into the story. I usually have a first line, and it progresses from there. I take notes of each character's appearance, origin, whether or not they have an accent, life events, etc., so I can refer to them as I go. I love dialog and incorporating accents into the dialog, when they are there. I have a character in the novel I'm working on that has a deep Southern accent. It's fun to write the way I imagine him speaking. It draws the readers in and makes the character real. I also do as you do. I jot down notes about the characters or story line as they pop into my head. And I agree with stepping away for as long as you have to. A good story can't be forced. Oh, thanks so much Minnetonka Twin. I would really appreciate the sharing. Excellent article on your approach to writing a short story. I found it incredibly useful and hit many buttons and voted up. I'll be sharing this hub all over. Great job. Thanks so much for your feedback, Jodah. I write poetry as well, but I think I'm better at the story. Congrats on your poetry too! Very well written and useful hub Joyette, packed with good advice as to how you approach writing a short story. Congratulations on having published books. I was excited to get my first acceptance letter and contract to have one of my short stories 'Just a Humble Hero' published in a journal of short stories and poetry. I have been submitting poetry for some time but this was my first short story and it was quite a surprise. Thanks for this great hub, voted up. Thank you missirupp. Indeed, short stories help you develop as a writer! Short stories are a great way to learn to write. Nice hub. Your hub was the first one I've read with the new hub layout. I like it. My name means little bundle of joy, but I did not remain little :), I grew up into a big joy to my parents as they are to me. Excellent article on the topic, Joyette (what a beautiful name!). Voted up and very useful.